McDonald’s latest McPick 2 for $5 lets you mix and match 2 of your favorite items for just $5! 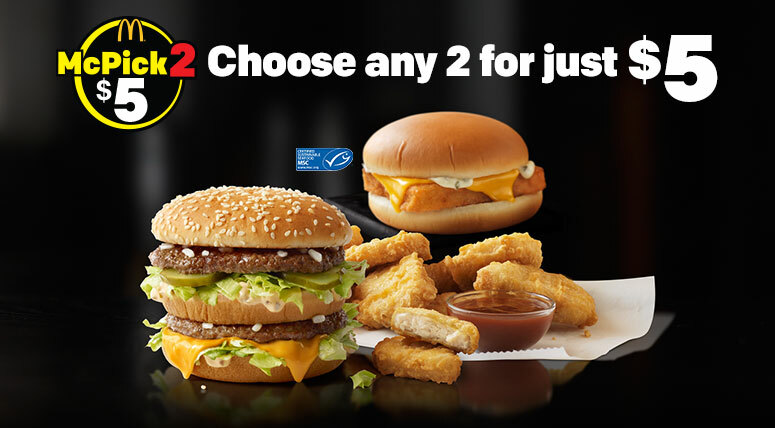 To take advantage of this deal and to locate your closest McDonald’s store, click here. Let us know in the comments if you’ve tried out this deal! Looking for more US Cheap Feeds? Visit Cheap Feeds and like us on Facebook for more of the latest fast food news, deals, vouchers and coupons!